I'm quite certain this bit of chicken isn't meant to last a month because I opted for the slow-cooker once again. However, should I do this one or two more times I will in fact have plenty of chicken and chicken broth for the month! 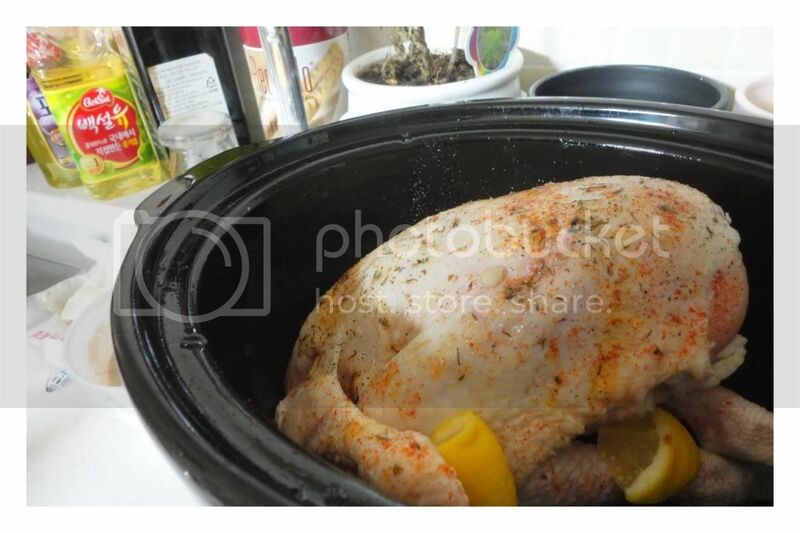 The chicken entered the slow-cooker with a sprinkling of salt and pepper a touch of water for the pot and a few squeezes of lemon juice. At the end of the day, the chicken meat was eager to come of the bones and be shredded and store in the freezer, 1 cup at a time. Next day, the chicken bones happily entered the slow-cooker with a quartered carrot and onion and a bay leaf simply to be covered in water and made into a fabulous broth. I love the slow-cooker. That's all.